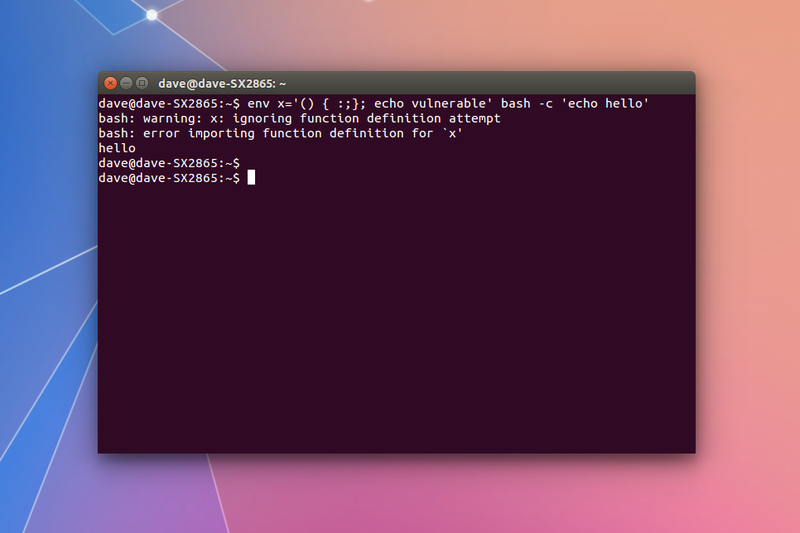 Shellshock is a new vulnerability that allows attackers to put code onto your machine, which could put your Ubuntu Linux system at a serious risk for malicious attacks. Shellshock uses a bash script to access your computer. From there, hackers can launch programs, enable features, and even access your files. The script only affects UNIX-based systems (linux and mac). If you get version 3.2.51(1)-release as a result, you will need to update. Most Linux distributions already have patches available. If your system is vulnerable make sure your computer has all critical updates and it should be patched already. if you are using a version of Ubuntu that has already reached end of life status (12.10, 13.04, 13.10, etc), you may be screwed and may need to start using a newer version of Ubuntu.